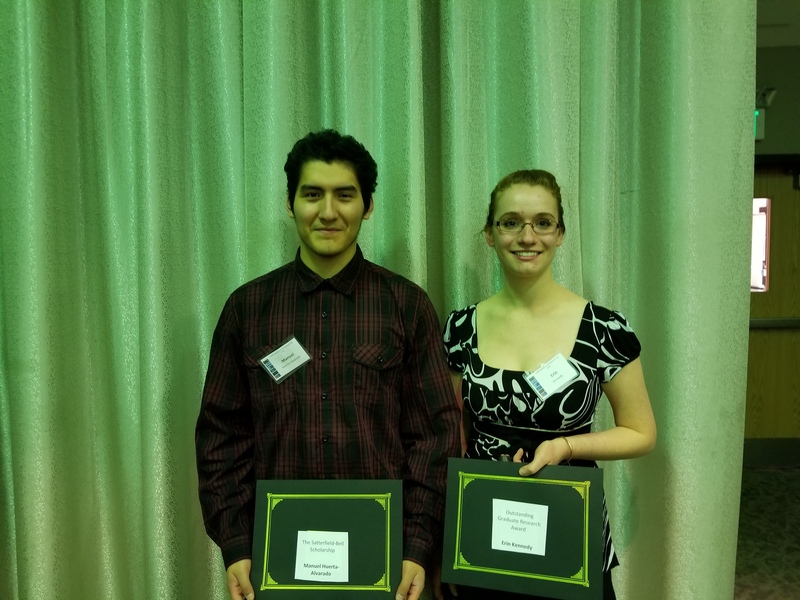 Erin Kennedy and Manuel Huerta-Alvarado received Excellence in Research Award at Graduate and Undergraduate level May 4 2018. Awesome Job Guys! You deserve it !!! 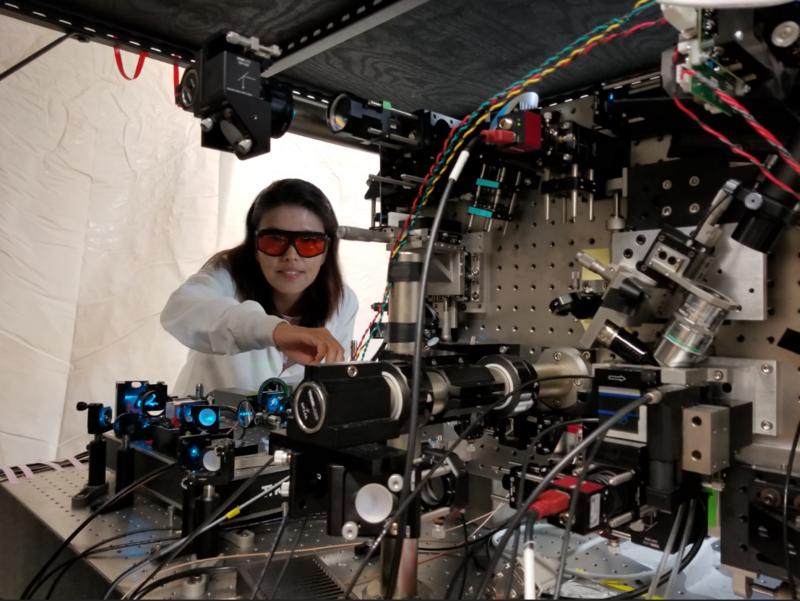 March 31- April 4-2019 Minjoung Kyoung was invited to give a talk at 2019 ACS national meeting in Orlando, FL. March 15-2019 Minjoung Kyoung was invited to give a seminar talk in the Department Chemistry at U of Akron. 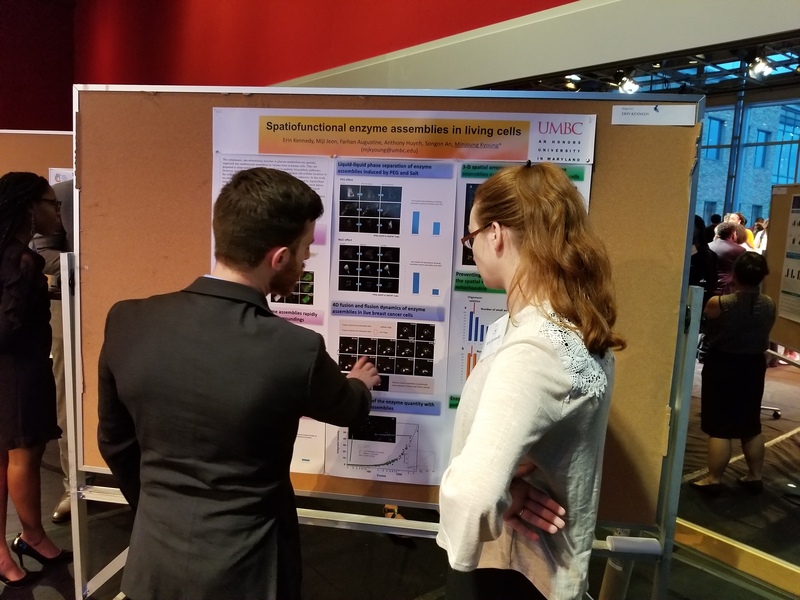 March 2-6-2019 Minjoung Kyoung was invited to give a talk at 2019 Annual Biophysical Society Meeting in Baltimore, MD. February 18-23-2019 Minjoung Kyoung was invited to give a talk at 2019 Quantitative Biology Conference, Oahu, HI. 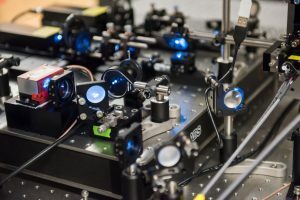 January 6-11-2019 Minjoung Kyoung presented Kyoung lab research at Single Molecule Biophysics Conference at Aspen, Co.
December-7-2018 Minjoung Kyoung was invited to give a seminar at Biophysics department in U of Michigan, Ann Arbor ! August-29-2018 Minjoung Kyoung presented “Spatiofunctional enzyme assemblies in living cells” at 2018 Cold Spring Harbor meeting: Single Biomolecules ! July-24-2018 Minjoung Kyoung and her collaborators received a seed grant from The Jayne Koskinas Ted Giovanis Foundation for Health and Policy! July-16-2018 Minjoung Kyoung was invited to give a talk at Gordon Research Conference: Single Molecule Approaches to Biology! June-24-29-2018 Minjoung Kyoung was selected to attend “NIH Big Data to Knowledge (BD2K) Initiative, NSF and the 2018 Innovation Lab”! May-24-2018 Minjoung Kyoung was invited to give a K-12 STEM talk at Centennial lane elementary school in MD ! May-5-2018 Minjoung Kyoung was invited to give a talk at FCBIS in UPenn ! May-5-2018 Erin Kennedy presented her research at FCBIS in UPenn ! May-4-2018 Erin Kennedy received Excellence in Graduate Research award at CNMS ceremony ! Way to go Erin ! May-4-2018 Manuel Huerta-Alvarado received Excellence in Undergraduate Research award at CNMS ceremony ! Way to go Manny ! March-16-2018 Erin Kennedy Presented her research in Graduate Research Day at UMBC! February-16-2018 Minjoung Kyoung was invited to give a talk at George Washington University! January-29-2018 Tao Zhang joined our group as a graduate student! 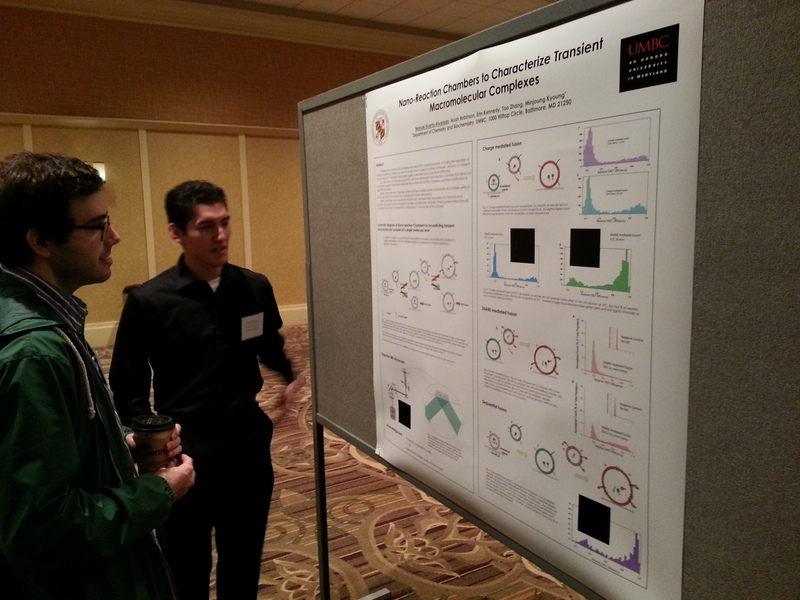 November-4-2017 Manuel Huerta-Alvarado presented “Developing nano-reaction chambers to characterize transient macromolecular complexes” at Chesapeake Bay Area Single Molecule Biology Meeting ! 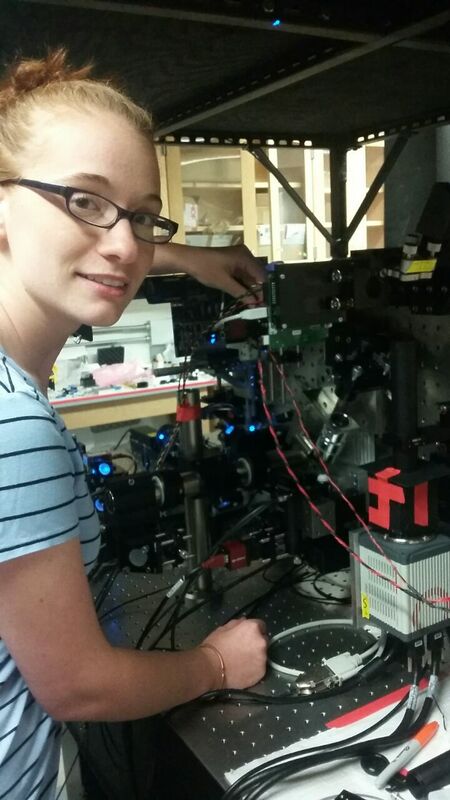 October -2017 Joelle Cusic started rotation in our lab! August-2017 Tao Zhang started rotation in our lab! August-30-2017 Celeste Chung joined our group as an undergraduate researcher! August-24-2017 Asfand Hussain joined our group as an undergraduate researcher! August-10 2017 Manuel Huerta-Alvarado presented “Nano-Reaction Chambers to Differentiate Binding Affinities for Modified FKBP-Rapamycin/FRB Ternary Complexes” at SURF! August-10 2017 Kristen Irons presented “Developing Mutant FKBP-Rapamycin/FRB Ternary Complexes” at SURF! June-12-2017 Kristen Irons joined our group as a REU student! June-8-2017 Erin Kennedy won Chemistry-Biology Interface (CBI) fellowship! May-11-2017 Noah Robinson won Teaching Award ! May-1-2017 Manuel Huerta-Alvarado joined our group as an undergraduate researcher! April-26-2017 Minjoung Kyoung was invited to give a talk at Institute of Marine and Environmental Technology (IMET), Baltimore, MD. April-20-2017 Minjoung Kyoung was invited to give a talk at the Department of Chemistry and Biochemistry at George Mason University, Manassas, VA.
April-8-2017 Minjoung Kyoung, Noah Robinson and Erin Kennedy attended Chesapeake Bay Area Single Molecule Meeting, at Johns Hopkins University, MD. April-7-2017 Minjoung Kyoung, Noah Robinson and Erin Kennedy attended Single-Molecule and Single-Cell Biophysics Symposium, , at Johns Hopkins University, MD. March-24-2017 Minjoung Kyoung gave an invited talk, “seeing is believing: one molecule at a time” at Mt. Hebron High School! 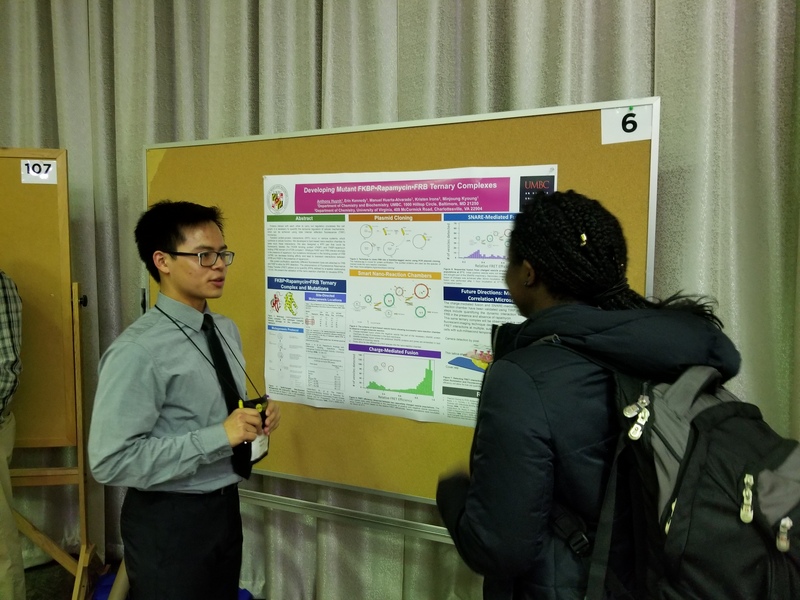 March-22-2017 Anthony Huynh won 2017-2018 undergraduate Research Award(URA) ! Congratulations! January-27-2017 Erin Kennedy presented ” Imaging transient protein-protein interactions inside living cells using lattice light sheet microscopy” in Biotechnology conference! January-27-2017 Noah Robinson presented “Vesicle Based Nano-Chamber for Single Molecule Studies” in Biotechnology conference! 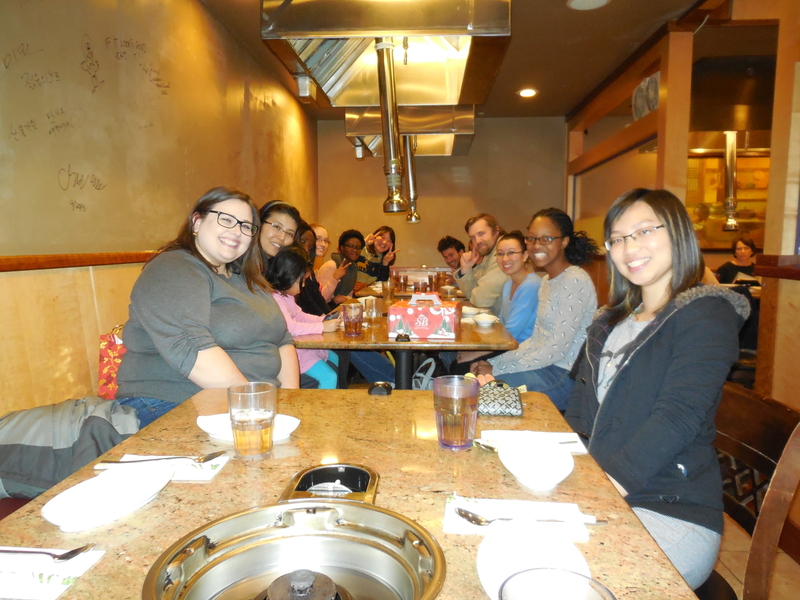 January-20-2017 Erin Kennedy presented ” Imaging transient protein-protein interactions inside living cells using lattice light sheet microscopy” in 6th Annual Biochemistry and Molecular Biology Retreat at UMB! 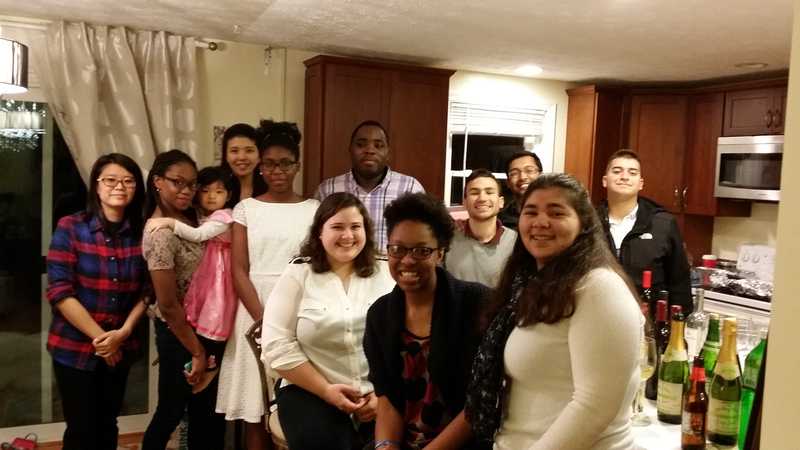 January-20-2017 Noah Robinson presented “Vesicle Based Nano-Chamber for Single Molecule Studies” in 6th Annual Biochemistry and Molecular Biology Retreat at UMB ! August-10-2016 Anthony Huynh presented “Developing transient tertiary complexes with various binding affinities” in SURF! August-10-2016 Blake Andrew Ford presented “Developing nano-reaction chamber to probe transient macromolecular complexes” in SURF! July-5-2016 Minjoung Kyoung presented “Visualizing regulatory interactions in metabolic networks” in Single molecule GRC! June-27-2016 Aiya Smith from Merganthaler Vocational High School (MERVO), a Baltimore City high school, joined the group for the Summer Biomedical Training Program! June-6-2016 Blake Andrew Ford from Stevenson University joined the group as a REU student! May-17-2016 Anthony Huynh joined the group as an undergraduate researcher!